The fully sculpted body has no flat surfaces. 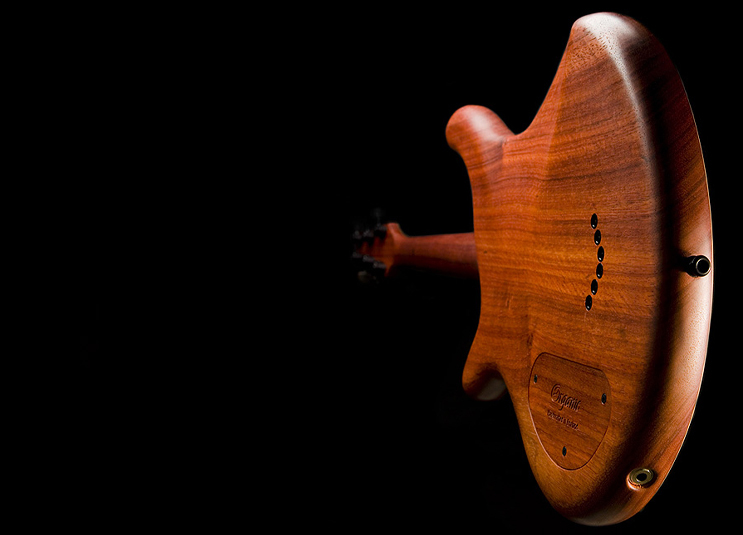 The gentle body curves and contours have been tuned to fit the human form, and shaped to position the centre of gravity in the optimum condition to balance the instrument, making the guitar very comfortable to play. A perfect marriage of weight distribution and aesthetic beauty.